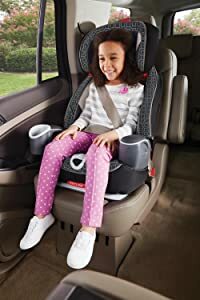 According to the American Academy of Pediatrics, when forward-facing, children should use a 5-point harness for as long as possible—until they reach the maximum height or weight limit for their seat. This is because, if the car is impacted, a child can be injured by the pressure from an adult seat belt. 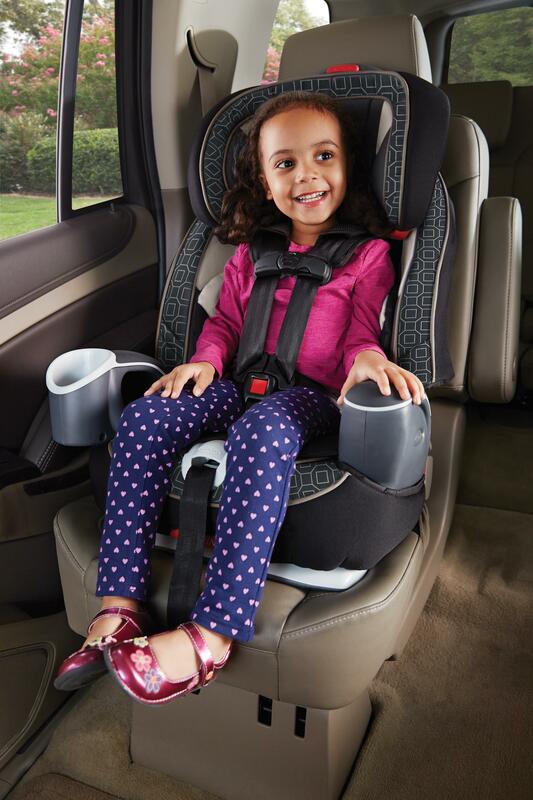 It is better for the child’s frame if the pressure is spread evenly via a 5-point harness. This is why I recommend the Graco Nautilus – the 5-point harness is extended in order to fit children up to 65 pounds, keeping them harnessed even longer.